The Lincoln Alexander Award recognizes individuals who challenge systemic discrimination, acting in substantive and distinctive ways to fight racism. Fiqir Worku is an incredibly humble Health Studies student, who is heavily interested in and involved with social justice. She was also one of the driving forces behind the creation of University of Waterloo’s (UW) new racialized service, RAISE, which opened its doors this semester. Worku was awarded the Lincoln M. Alexander Award on Jan. 21 2019 in Queen’s Park for her work in making UW even more welcoming for students of colour. This award is presented annually to two high school students and one youth over 18 who fight against discrimination in the community. 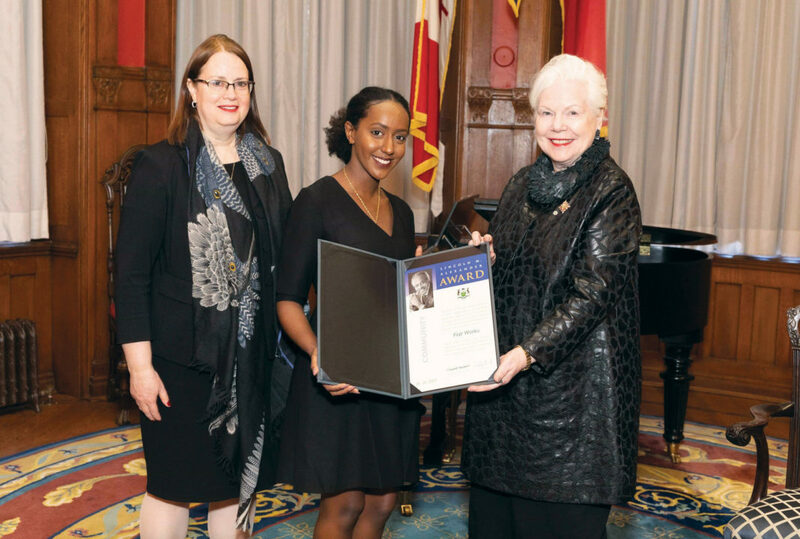 “The Lincoln Alexander Award recognizes exceptional individuals who have taken it upon themselves to challenge systemic discrimination, acting in substantive and distinctive ways to fight racism,” Elizabeth Dowdeswell, Lieutenant Governor of Ontario, said. Despite her achievements, Worku gives much credit to her network and her team. Worku believes that UW still has a lot of room for improvement, namely in how students that run services are compensated for their work. Worku was nominated by an organization, and was able to win with the help of reference letters and votes from various organizations in the Kitchener-Waterloo community. “I think it’s just mostly taking initiative and just powering through,” she said. “But also it’s just I think like my ability to connect different organizations together.” As she is in her fifth year, Worku will graduate soon. Still, she believes that it is important for current students to leave the UW community better than it was when they arrived. “So it’s just that kind of like building a legacy and finding a common ground with people who are in your network to try to make change happen, […] establishing a better university for like the people that are still there,” she said. Currently, Worku is working on an undergraduate thesis on the mental health of students of colour. In the future, she plans on working in health policy, and perhaps attend graduate school after working for a while.